Arsenal and England winger Alex Oxlade-Chamberlain has revealed that Arsene Wenger convinced him to join Arsenal in 2011 amidst interest from Manchester United and Tottenham Hotspurs. The 23-year-old midfielder recently revealed in an interview with Goal that a host of high-profile clubs were interested in signing him during the 2011-12 season, including Tottenham Hotspurs and Manchester United. Oxlade, 17 years old at the time, eventually opted to join Arsenal for a rather substantial £12 million transfer fee. He made his debut for the club during Arsenal’s infamous 8-2 loss away against Manchester United. He began his career with Southampton, joining their Youth squad in 2000, and eventually making his professional debut in 2010 at the age of 16. He made 43 first-team appearances for Southampton before joining Arsenal in 2011. Alex, who was accompanied by his father Mark Chamberlain, was asked why he opted for an Arsenal switch back in 2011. The 23-year-old explained: “I’ve always liked Arsenal and growing up watching the way they played and the whole feel of the club, it just seemed like something I’d love to be a part of. “I think obviously, Arsene, to be part of it, he is one in the process, he seemed like he knew the most about me. “When my dad spoke to Arsene he seemed to have a vision for me and a bit more insight into where he thought I could go and what he wanted for me. 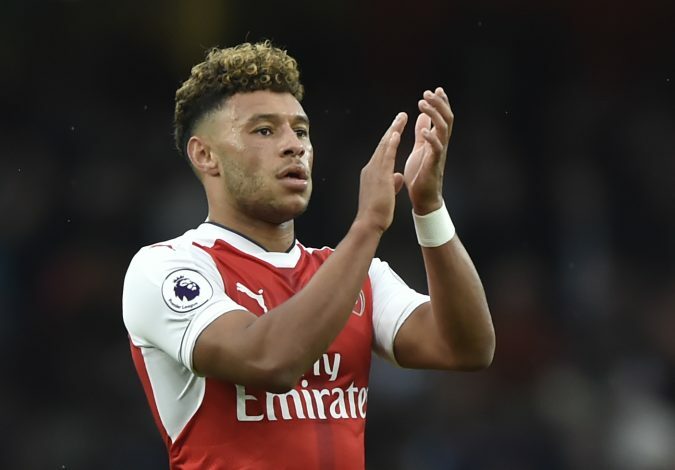 However, since joining Arsenal, Oxlade-Chamberlain hasn’t had quite the impact he had anticipated, and has faced various injuries which have hindered his growth at the club. In his 6 seasons with Arsenal, he had made 157 appearances and scored 16 goals. He initially played as a winger, but has been converted to play in a more central midfield spot in recent seasons.